After former Chief Minister (CM) Varatharajah Perumal issued the unilateral declaration of independence about twenty-five years back, as a devolutionist, I reminisced that had he remained as Chief Minister (CM) without acting so, many later problems of the Provincial Councils (PCs) could have been solved viably. Today, I project that CM CV Wigneswaran has got similar or even greater opportunity to achieve power sharing. Lately, Tamil National Alliance’s (TNA’s) Member of Parliament (MP) Mavai Senathirajah has told The Hindu that the priorities of the Northern Provincial Council (NPC) are to: (1) ensure that lands destroyed in the war be reclaimed and livelihood programmes introduced; (2) pass laws to bring resources for development; and, (3) give the Tamil people the right to self-rule. For these he expected international support – especially Indian. Also, CM Wigneswaran has reiterated calls for self determination for Tamils, within a united Sri Lanka. Let me look at the lands and livelihood issue – the first priority of MP Senathirajah. The Manifesto raises the issue of acquisition of lands by the Government of Sri Lanka (GOSL). It speaks of ‘acquisition for military purposes;’ ‘forcible acquisition of lands’; ‘shared sovereignty’ to be ‘necessarily be over land’; ‘lands seized by the government without due process’; respecting ‘the rights of private property owners’ and ‘restore such lands to the rightful owners’ (MP Senathirajah himself included! ); ‘…draconian regulations on land acquisition and reoccupation’ depriving Tamils’ rich agricultural lands – a bagful of grievances. TNA complains these as rights violations and Tamilnet continuously repeated specific incidents to prove it. They drag in pro-Muslim interests and anti-Hindu and anti-Muslim incidents and make the cases more complex. The Manifesto assures alleviation: “TNA is committed to the Provincial Administration retaining control over land in the North-East, reform of existing policies over land”. Nevertheless, combating land acquisitions is not exclusively land related. The Manifesto says “There must be meaningful de-militarization resulting in the return to the pre-war situation as it existed in 1983………..by the removal of armed forces, military apparatuses and High Security/Restricted Zones.” It demands that the displaced Tamils “must be speedily resettled in their original places; housing provided, their livelihoods restored and their dignity respected”. Clash of interests seems to be imminent in land administration, especially after the recent Supreme Court decision, placing land administration in the hands of the centre and the known military negativism. Pinheiro Principles acceptable to United Nations have feasible solutions for these. CM Wigneswaran himself can dissect and decide the possible corrective options. However, if a policy directive is required the National Land Commission under Appendix II- 3.1 should be activated. 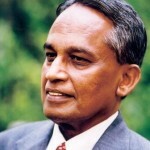 It is the responsibility of the GOSL (See http://groundviews.org/2012/01/18/is-power-sharing-in-land-administration-practical-in-sri-lanka/). Therefore, cooperation and dialogue with the GOSL cannot be ignored by the NPC. Take the second priority. Even the passage of statutes has to be done cautiously. For instance, only two PCs have passed land related statutes and both are redundant due to Executive and legal ‘road blocks’. Hence, this calls for cohabitation mechanisms and understanding. As a former land administrator I may suggest that the GOSL and PCs must have dialogues, dealing above petty political and ethnic considerations and on pure technical guidelines to formulate the state land policy, as directed by the Constitution. Statute making has to follow on the National Land Policy (13th Amendment Appendix II- 3.4). It can be repeated for other functions too. Regarding passage of laws and statutes we observe inordinate silence or ‘no bother’ attitude shown by TNA on the latest land related Supreme Court ruling, though it is important for land statute making. The judgments reiterated confirmed existing constitutional situations and interpreted some more. We may have to watch NPC counter positioning. Most likely TNA would have found out via media to fight for its interests, as could be guessed or even decided to prioritize other issues over these rulings, permitting the NPC and TNA to mull over next steps in a planned manner to heighten its counter actions later. Manifesto references focus on ‘resource’ mobilization is minor. However, factually the opportunities may be vast, if the Tamil Nadu economy’s affluence (fourth in line in India with Rs. Crore 635,044 in 2011/2012) could seep to NPC region with Indian industrial and trading investments (e.g. motor vehicle, Information Technology). Diaspora capital also may reach the NPC area, for which the GOSL should be uninhibitedly open. Perhaps, if the Comprehensive Economic Partnership Agreement- CEPA- is finalized, and Free Trade Agreements are widened, the potential resource mobilization could be voluminous. It will not only have positive effects on the NPC, but also on the country’s Gross Domestic Product. The Manifesto has a separate section on Law and Order. The picture painted on the North and Eastern law and order status is not enchanting. However, the Law and Order section in Appendix I of the 13th Amendment being implemented immediately may be doubtful. For instance, unless the National Police Commission is appointed the Provincial Police Commissions cannot function effectively in certain activities. Hence, priority (2) of MP Senathirajah will face blockades and requires negotiations, highlighting mutual cooperation. Let us understand the basics of self-determination due to the specific interest shown by Indian authorities, MP Senathirajah and CM Wigneswaran. To my layman’s understanding self-determination has two arms. One is internal self determination (ISD), the other – external self-determination (ESD). MP Senathirajah’s third priority (i.e. self-determination) is based on the Manifesto which speaks of Tamils as a ‘distinct People’. As I have said in another writing (See https://www.colombotelegraph.com/index.php/tna-manifesto-for-power-sharing-or-separation/) it is unfortunate if ‘ethnic casteism’ by considering that “the Tamil People of Sri Lanka are a distinct People” takes precedence over the needs of cohabitation and cooperation, which were highlighted when the CM swore in. In fairness to him, how can he be unmindful of an around 80% mandate? If the conflicting aspirations are to be implemented, it will provoke others who clamor for southern ethnic casteism to punch the NPC. Lest I forget I may mention that the term ‘distinct people’ has entitlements of collective right to self determination. Traditionally, a two-part test has been applied to determine when a group qualifies as a ‘People’. The objective test seeks to determine to what extent the group members “share a common racial background, ethnicity, language, religion, history, and cultural heritage and the territorial integrity of the area the group is claiming. The subjective test examines the extent to which individuals within the group self-consciously perceive themselves collectively as a ‘distinct people.’ I am not suggesting that the TNA used “distinct people” criteria in the Manifesto aiming movement to external self determination, if GOSL fails to deliver internal self-determination. But, GOSL must be mindful of the consequences and not be responding wrongly to issues, irrespective of assuring declarations for non-separation, because arm twisting could happen in a round-about manner. Further, the TNA Manifesto spoke of a ‘United Sri Lanka’, reiterated also after swearing. However, if the references in the preface of the Manifesto, such as Tamil ‘historic habitats’, Tamil ‘Collective Rights that accrue to Tamils as a Nation’ and the ‘right to exercise our option to self-determine, best ensuring self government in the Tamil Speaking North-East’, etc. (objective test results!) could rightly infuriate criticism when the Government of Sri Lanka (GOSL) extends an olive leaf, as the President assured at the swearing. No one disagrees that equity, equality, peace and security have to emerge in a democratic country as envisaged in the TNA Manifesto. However, ‘if the ‘government in Colombo’ does not hold the right to govern the Tamil People’ is subscribed, it may fan enraged chauvinism. The NPC and TNA should not be governed by chauvinists, as much as the GOSL should not be governed by equals. However, some like Ananthi Sashidharan and TNA lawyers group have already exhibited dissension on the ‘softness’ exhibited by the CM. I believe the TNA leader and CM have fortunately understood such as negative and useless. The TNA’s claim (i.e. Wigneswaran, Senathirajah et al) is that the North and East’s self-reliance and self- governance are to be promoted on a two stage constitutional process. However, it is difficult to convince oneself how such self governance or self rule or self-determination could be absorbed through the 13th Amendment. However, the Indian Minister of External Affairs recently emphasized “The GOSL has on many occasions conveyed to us and to the international community, its commitment to move towards a political settlement based on the full implementation of the 13th Amendment, and building on it“. It signals that in the eyes of others past cannot be isolated to suit the present. Since MP Senathirajah has shown keenness to obtain Indian assistance and Minister Khurshid has offered assistance and focused on a dialogue process, both TNA and GOSL have to be mindful of it. Minister G. L. Peiris has conceptualized the ongoing Parliamentary Select Committee as the due process. Indians have given some guidance – of course highlighting the need for “self-government for the Tamil speaking Peoples”. The TNA immediately requires the democratically elected body to be “with legislative, executive and fiscal powers – to take over those functions of government rightly belonging” to them. Anyone will agree that statute making, financial and establishment control power has to be with any PC to perform efficiently and effectively, but the PCs should not attempt encroachment of State authority. The difficulty is to make statutes to suit recent judgments and the NPC requirements, which may be sometimes conflicting. Do the latter sentiments and aspirations creating public commotion match CM Wigneswaran’s and MP Senathirajah’s thinking? Will such propositions bring in further polarization, which goes against the thinking of the NPC CM, who wished to reach the south? Will street fighting pave way for reconciliation and cohabitation or more of militarization for security purposes, as often told by senior military commanders? Will not such give a handle to the President to canvass the southern chauvinists or in the alternative rally round them having failed in reconciliation and cohabitation with the North and gain electorally in any future election, ignoring united nation building? Here, NPC must not discount the strategizing capacity of the President. The demand for self-rule is on the table with Indian support. The GOSL may watch its step on this status, if unprepared to open arms of reconciliation. International experiences show that this is not only a threat but a truism too. For example, I may quote for cautioning the cases of East Timor, Kosovo and Sudan. The administration of the North was ‘nominally’ under the GOSL for twenty-five years, but dictated by the terrorists. After May 2009 there had been hiding of civilian administrative powers by alternate power concentrations. When civilian provincial authority takes over without GOSL political backing the new administration may be affected. Grapevine rumblings are that District Ministers or Political Authorities will be appointed, which could buckle PC administration. Having being a senior public administrator under both these systems, I may endorse them as massive failures. Before the NCP election pruning of PC powers was proposed. They may emerge again. It is not pruning of powers that is required, but supervision, monitoring, reinforcing closer cooperation and coordination with efficient systematized developments, trouble shooting and solving problems, if performance is to be enhanced. Perhaps, an innovation of an Advisory Task Force accepted by the CM, headed by a Minster considering his pro-devolutionary approaches or for functional efficiency coverage, comprising of northern political representatives, NPC nominees, Presidential Secretariat and Treasury representatives, Chairman Finance Commission, selected apolitical civil society leaders with ethnic representation, selected private sector persons may be considered. It should work in close liaison with the Governor and the CM / Board of Ministers to positively lubricate and accelerate action and not meant for encroaching to the NPC powers. Governor G. A. Chandrasiri would have sometimes had conflicts with the incumbent CM and TNA in the run up to the poll and even involved in events considered by the opposing politicians as unethical or illegal. Probably other Governors would have done the same stealthily in their provinces. Removing Governor Chandrasiri may be one urgent TNA demand. In a positive way if the Governor could adjust along with the NPC authorities, without giving in to illegalities, some demands like demilitarization, release of lands could be canvassed with the military and defence authorities convincingly, than with a civilian Governor. Of course, whether the parties (inclusive of the military) are ready to adjust is a million dollar question. Some time back I wrote that President Rajapakasa could become a Mandela by his government’s actions for solving the national crisis and wished that every one support him in that endeavor irrespective of differences. I repeat it now because the second opportunity also has dawned on him to become a Mandela. His success will make him the Leader who vanquished the World’s Number One Terrorist Outfit and the Leader who made the affected population the final victors of his vanquishing war effort. Failure may have frustrating consequences. Why We Haven’t Seen Another Buddha, A Christ, Or A Miracle Since?